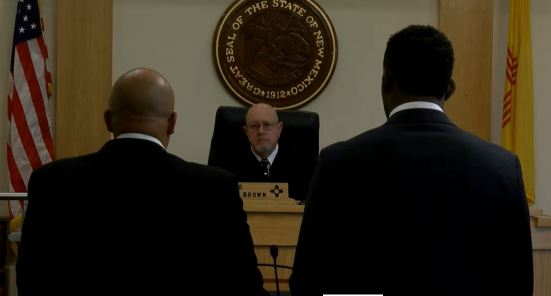 This morning Jon Jones plead guilty to a 4th degree felony after being involved in a hit and run causing injury to his victim, a crime which came with a potential of up to 18 months imprisonment. A plea deal was reached and he was sentenced to a conditional discharge (basically meaning Jones will not be a convicted felon if he complies with all of his conditions of probation). The conditions include supervised probation for up to 18 months. The court was open to a potentially earlier discharge if the probation office felt it was warranted. During probation Jones was ordered to make 72 charitable appearances which equal to one for each week of his probation period. The court did not restrict his ability to travel for his promotional obligations for the UFC. The court noted a further hearing will be held after the 72 appearances are complete to determine if it is appropriate to finalize the discharge. Standard supervision serves those offenders in the community who are less likely to re-offend and who do not fit the criteria of special programs. Some offenders are placed into standard supervision if they are pending acceptance in special programs. The following are the conditions of Standard Probation Supervision. State Laws: I will not violate any of the laws or ordinances of the State of NM, or any other jurisdiction. I shall not endanger the person or property of another. Reporting: I will report to my Probation/Parole Officer as often as required and will submit completed and truthful written reports as required by my Probation/Parole Officer. All communication with my Probation/Parole Officer will be truthful and accurate and I will promptly reply to any correspondence or communication I may receive from the Probation Office. Status: I will get permission from my Probation/Parole Officer before: a) Leaving the county where I am being supervised and/or residing; b) Changing jobs; c) Changing residence; or d) Engaging in any major financial contract or debt. Association: I will not associate with any person identified by my Probation/Parole Officer as being detrimental to my Probation supervision, which may include persons having a criminal record, other probationers and parolees, and victims or witnesses of my crime or crimes. Visits: I will permit any Probation/Parole Officer to visit me at my home or place of employment at any time. I will permit a warrant-less search by the Officer of my person, automobile, residence, property and/or living quarters if he/she has reasonable cause to believe the search will produce evidence of a violation of my conditions of probation. Employment: Unless exempted, I will make every effort to obtain and hold a legitimate job and fulfill all financial obligations required of me including support of my family. I shall cooperate with my Probation Officer in any effort to assist me in obtaining employment. If I lose my job for any reason, I shall report this fact to my probation/Parole Officer within 48 hours of the change. Weapons: I will not buy, sell, own or have in my possession, at any time, firearms, ammunition, or other deadly weapons. Drugs: I will not buy, sell, consume, possess or distribute any controlled substances except those legally prescribed for my use by a State Certified Medical Doctor. I will also provide urine or breath test specimens for laboratory analysis upon request of the Probation and Parole division. Arrest: I will report any arrest, charge or questioning by a Peace Officer to my Probation/Parole Officer within 48 hours of the incident. The toll free number 1-866-416-9867 is available for emergency contact with my Probation/Parole Officer. Transfer: If my probation supervision is transferred to another state, I will abide by any additional supervision conditions required by that state. informant: I will not enter into any agreement to act, or act as an “informer” or special agent for any law enforcement agency without the permission of the Director of the Probation and Parole Division and the sentencing judge. Probation Costs: I will pay probation costs as determined by my Probation/Parole Officer on or before the designated date each month to the Corrections Department in the form of a money order or cashier’s check. Photo: I will submit myself for photographing and fingerprinting as directed by the Probation & Parole Division. Alcohol: I shall not possess, use or consume any alcoholic beverages and will not at any time enter what is commonly known as a bar or lounge where alcoholic beverages are served or sold for consumption on the premises.